Sincere and deepest sympathy is extended to Mary and Frank Connolly and family on the untimely and tragic death of their son, Emmet Connolly. Our thoughts and prayers are with you all at this very difficult time. May he rest in Peace. On Sunday last, we played host to Doohamlet. 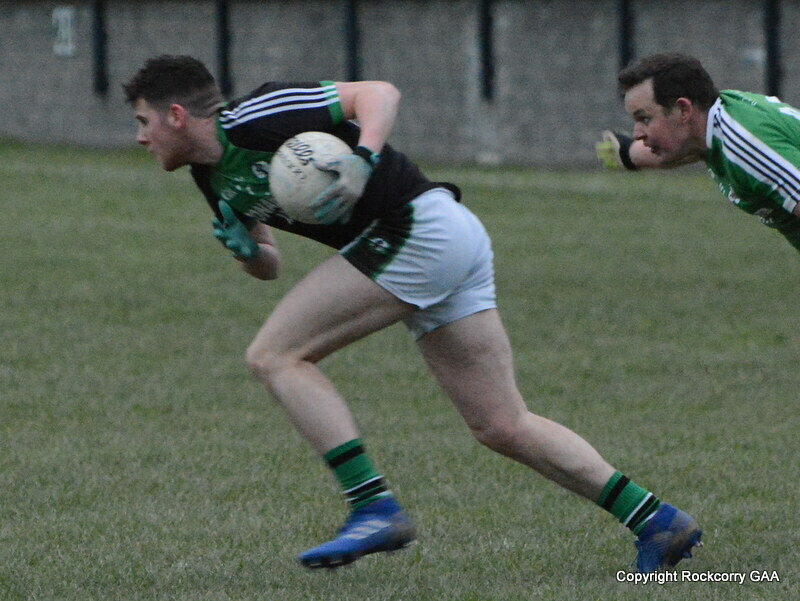 In a good exciting first half the Rockcorry men went in at the interval with a five point lead on a scoreline Rockcorry 0-9 Doohamlet 0-4. In the second half, we sat back on our lead and saw Doohamlet taking their points to draw level within 15 minutes. From then on it was point for point. However, Doohamlet managed to take the lead in the 25th minute with a long range point sent over the bar with the help of a strong breeze. Just when we thought it was all over Mark Daly pointed a free to level the scores at the final whistle. 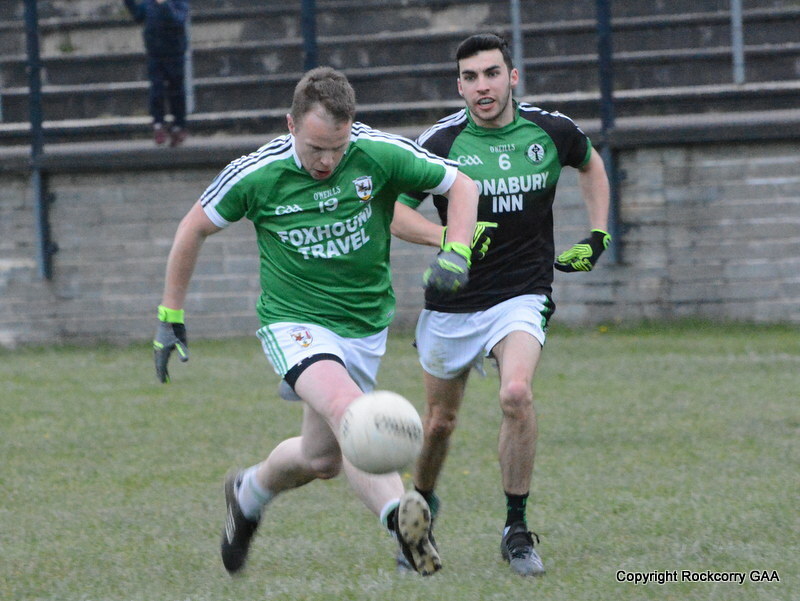 Final score Rockcorry 0-13 Doohamlet 0-13. Apologies for the brief report, however our usual PRO will be back in action next week. 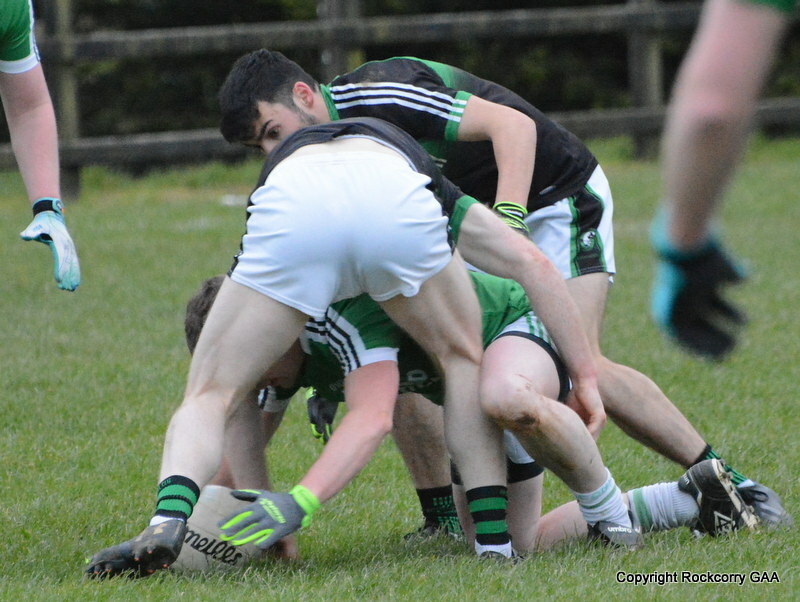 Our next league game will be on 6th October 13 with another home game against Carrickmacross. Throw in 12.30pm. Country Night – Tickets on Sale now!! Tickets are now on sale from all Committee Members for the “Rock Country Night” on 11th October 13. We have assembled the finest singers from the village and surrounding areas to perform their favourite Country & Western classics. The following will be performing on the night: Walter Brown, Philip Clarke, Hughie Carroll, Ollie McQuillan, Robert & Anita Brown, Emma McGorman, Fionnuala McQuillan, Martina McDermott, Martin McCabe, Briege McCabe, Michael Lawson, and Karen Matthews. Presenter on the night is ‘Gloria’. No other night does it like “Rock Country” so c’mon y’all, get your honky tonk butts there on the night for a good darn time. Yeeeeee haaaaaaa!!!!!! As you all know, one of our leading players and all-time greats Anthony “Tayto” Tate will be celebrating his 40th birthday on Saturday 19th October. Along with celebrating the big FOUR ZERO Anthony wanted to do something meaningful and worthwhile and has decided to go down a different road and raise money for charity by holding a sponsored beard shave with all proceeds being donated towards two charities, namely the Irish Heart Foundation and the Cootehill Community Cancer Support Group. Along with Anthony, three other brave men, Dwayne Rooney, Martin Carroll and Aidan Sheridan have decided to take the plunge and not shave for the next three weeks and they will get their mighty whiskers shaved all for name of charity. They all have sponsor cards and you will also see sponsor cards in local shops and pubs so please donate whatever you can afford to these very deserving and worthy charities. It’s guaranteed to be a night to remember. We held our under 10 four-team tournament for the Terence Reilly Memorial Shield on Saturday last in a sun-drenched Pairc Mhuire. 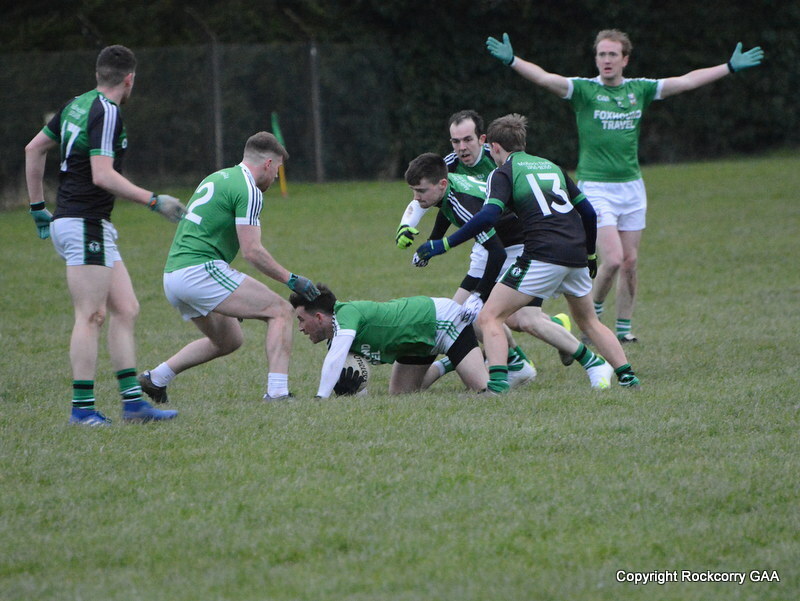 The two semi-finals proved to be very close encounters with Cootehill narrowly overcoming Aghabog and Rockcorry shading it over Drumhowan in two very entertaining games that kept spectators from all four clubs interested to the final whistles. 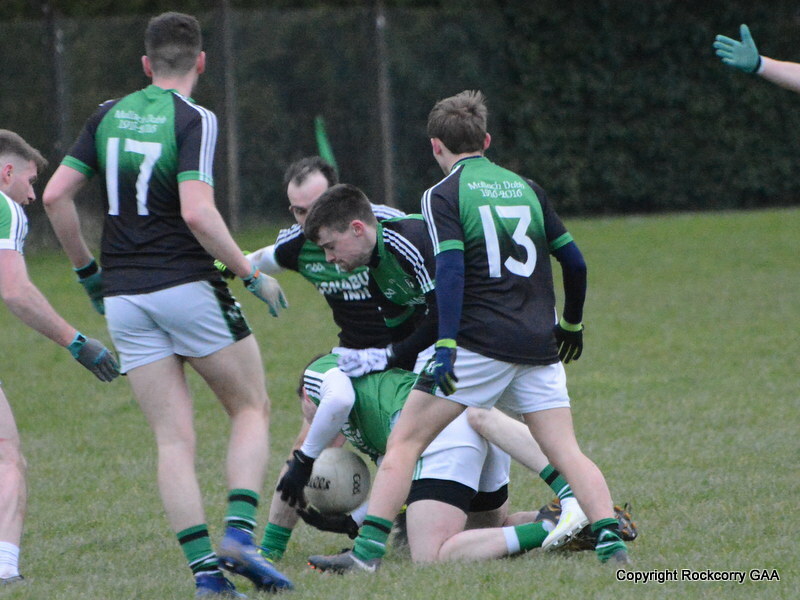 Drumhowan then edged out Aghabog in the 3rd and 4th place encounter while a strong Cootehill outfit won the final against our own under 10s who couldn’t quite reproduce the same form that saw them overcome Drumhowan in the semi-final. Presentations of plaques for the winners and medals for the other three teams followed. Thanks to the mentors of all four teams involved and a special thanks to Gerard, Fintan, Keith, Seamus and Marian for the hard work that you put in with this fine group of young players throughout the long season and to all the parents who helped out in any way and especially in providing transport to all the blitzes. Appreciation too for all involved in preparing the pitch for the day. A highlight of the occasion was the fact that the Anglo Celt and Fr Murray Cups won by the Monaghan Senior and Minor teams were on display and all the players had their photographs taken with these coveted trophies. Thanks to Fergal McGeough and Lorcan Smyth who competently refereed the games. A special appreciation goes to Mrs Reilly who made the presentations. She was especially pleased to be able to make presentations to five of her grand-children. Sincerest thanks to Noel and Seamus Reilly who donated the plaques and especially to Noel and his family who made the trip from Dublin. Finally, a huge ‘thank you’ to the ‘catering team’ of Tini, the two Anns, Martina, John and all who helped out in the hall where hot food was provided to a ‘multitude’. Your effort was ‘the icing on the cake’ for what was a most enjoyable day for all involved. We will be holding our under 12 four-team tournament for the Bosco Carroll Memorial Cup on the weekend of October 12th/13th. Details to follow next week. The numbers drawn on Monday 30th September 13 were 8, 10, 17, and 28. There was no jackpot winner of €5,000. The following won €15 each :- Eugene Cleary, Rock, Greenan Family, Cremoyle (Yearly Ticket), James Fox, Rock, M. Quigley, Newbliss, Arlene Hughes, Middletown, Eileen Calvert, Rock, Noel & Christina, Rock, and Conor Hagan, Greenan’s Cross. Next week the jackpot will be €5,100 and the draw will take place in Thompson’s, Newbliss. Thank you for supporting our Top 4 lotto draw. Massive CONGRATULATIONS to our Club PRO, Michael Carroll, who reached Everest Base Camp in the Himalayas on 27/9/13. Mickey is currently enduring the long trek back down Everest and will return home this Friday to resume his PRO responsibilities (thank god). I have no doubt he will have some breath-taking pictures and stories to tell on his return. Mickey completed this brave challenge in aid of the Irish Heart Foundation. His passion, motivation and determination are truly admired and he is a credit to Rockcorry and an inspiration to all. Well done, Mick!! Scór Spraoi for National Schools, October 18th. Anyone interested please contact any Committee Member. Hard luck to Monaghan Ladies who unfortunately lost out by the smallest of margins against a strong Cork team on Sunday last.